Image: Image: Steffi Loos/Getty Images. Design: Ashley Britton/SheKnows. Easter is here, and you know what that means: Some kids near you are about to be hopped up on some serious sugar. Hey, it’s not their fault the small but mighty jelly bean is so darn good. Much like a tortilla chip, you can never just have one, right? But anyway. Our point is: Easter games for kids are somewhat tired, and not even the most interactive Easter egg hunts are going to be enough to quell the inevitable jelly bean-fueled jitters. You’ll need to keep kids busy if you want there to be any chance of them falling asleep at a reasonable hour. 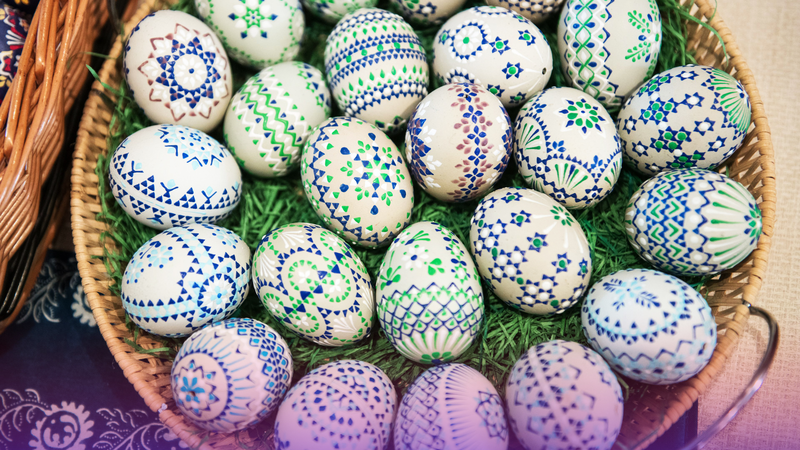 Thankfully, there are plenty of eggcellent ways to occupy every bunny (yes, even the adults) at your soiree, from epic Easter egg hunts to DIY baskets to crafty contests to some good, old-fashioned running around. What better way to knock out some energy than by knocking out some pins? For this game, you’ll need to get your paws on six to 10 wooden pins. If you can’t find them at your local craft store, don’t worry; soda bottles can work just as well as long as you fill them with sand or dirt to weigh them down a bit. Then, follow Handmade Charlotte’s lead by painting on whiskers and gluing on some ears. Once you have everything set up, have the kids (or adults, no judgment) take a ball — a baseball or softball should do — and get to rollin’. Smiles guaranteed; scoring optional. To play, each participant will need a large wooden or plastic spoon and one hard-boiled or plastic egg. Then, when the start time is called, the players will have to use their spoons to roll their eggs down the playing field. The first one to cross the finish line wins.